Are your seats looking a little worse for wear? If you have pets or young kids, it doesn’t take long for them to be covered in hair, dirt or worse. Maybe you just want to give your new Triton an upgrade in style. Whatever the case may be, if you’re in the market for quality made seat covers, you’ve come to the right place. 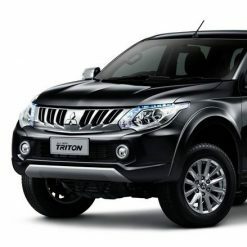 Dingo Trails offers a range of custom made seat covered for the Mitsubishi Triton MQ. Made from quality automotive-grade neoprene, you’ll be impressed with the end result once they’re fitted inside your car. Browse the range online and order your Triton seat covers today. Battle tested in Australia for over 10 years - designed to withstand the harsh Australian climate such as strong UVs and high temperatures. Ribbed rubber backing so it won’t slip. Hassle-free and quick dry cleaning. 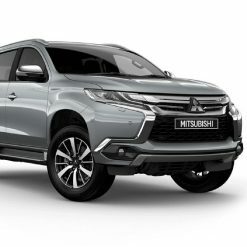 With over 30 years of experience in the industry, you can remain confident that we only provide the best quality neoprene seat covers for the Mitsubishi Triton MQ at an affordable price. We also stock other makes, including Ford, Holden, Toyota and others. Browse the full range of seat covers online today. Any questions? Feel free to get in touch and we’ll be happy to help.